I’m sure you have heard this one before, and if you haven’t yet, you will. There comes a point, usually during the toddler years, that a child becomes more aware of bodily pain. The problem is that, since they are too young to identify what could have caused or is causing the pain, they tend to freak out and just cry. Here is a little tip for when your child comes crying that their tummy is hurting – ask them where the pain is. They can’t tell the difference between stomach pain and lower abdominal pain, and the different causes for each one. Even if your child can’t talk yet, they can point to where it hurts. If they point to their stomach, it could be hunger, nausea, or pain from overeating. You should be able to figure it out depending on when they last ate, what they had, and how they have been acting since then. 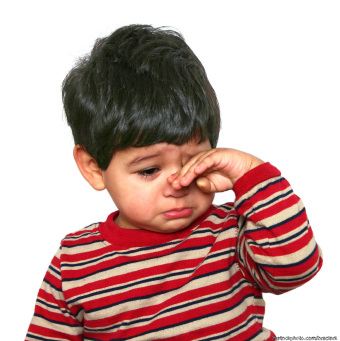 Often a child who is about to throw up will whine and fuss, want to lie down, or be with you. My son is scared of throwing up, and will cry about it more once it happens than before. Lots of comfort and emphasizing that it is all over is needed to calm him down. With Logan, each time he says his tummy hurts, I talk to him and find out where the pain is, and I explain to him what it might mean. Of course, I don’t say everything I listed above, only what applies to him at the moment. 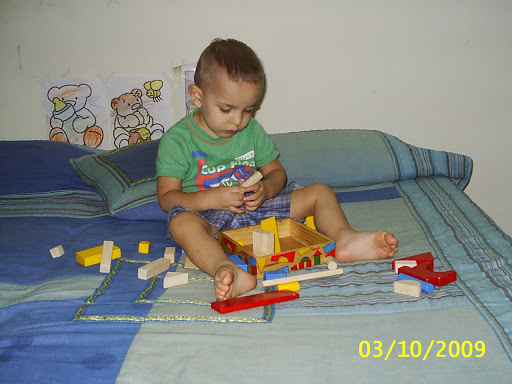 This helps him to learn the difference in hunger pangs and needing to use the toilet, or feeling sick in his stomach. What do you do when your child says his tummy hurts? How do you handle it? I’m sitting here thinking about two years ago. It doesn’t matter that it is still a few days away, the event I have in mind. Maybe it’s because we are celebrating Logan’s birthday tomorrow that I am thinking about it. What is it? Well, his birthday, of course. I mean the actual day he was born. He wasn’t even due yet. I was only 7 months pregnant, yet I was lying in the clinic bed, the doctor telling me that they’d have to perform an emergency C-section. My water bag had been leaking all day and showed no sign of stopping. Logan had a strong heartbeat but he wasn’t moving. The doctor was worried. I was scared. I remember looking at my tummy and thinking it looked like a deflated balloon. A tiny lump on the right side of my tummy showed where the baby was lying. There was no water left by the time he was delivered. He was taken to a larger hospital a few hours later as the small clinic didn’t have the needed facilities for a premature newborn. Glad went with him. I didn’t even know all that had happened or that was happening for the first few days. Glad would visit Logan twice a day, and then come back and be with me. He deliberately didn’t give me all the details of Logan’s condition because he wanted me to rest and not worry about the baby. He stopped breathing the day after he was born and had to be put on a ventilator for 5 days. I left the clinic on the fourth day after he was born. I desperately wanted to see my baby, to hold him. So Glad took me there. I wish he had prepared me. I walked in to see my baby covered with tubes and needles. I just stood there, wanting to touch him, wanting to cry. He was so tiny, so thin you could see all his bones and every joint. I would have cried but the nurse saw and told me firmly, “Not in front of the babies”. That hurt. But I braved it and forced myself to touch my baby and feel how soft he was. Then it was time to go home. I had to rest, but I didn’t want to leave my baby. When I got out in the hall, I broke down. I don’t know how long I cried for. It hurt so much to see my baby like that. I didn’t know if he was going to make it. I was sure he was going to die. All the way home I couldn’t stop crying. I got into bed and tried to stop but I couldn’t. It hurt too much. Over the next few days before he came home, I had a constant fear that he was going to die; that the next call from the hospital would be to inform us of that. I started to dread calls from the hospital. My heart would pound at the mention of it, until I heard whatever the news was. It was always good, but until I knew, it was hard. On the tenth day after he was born, he came home. He made it! 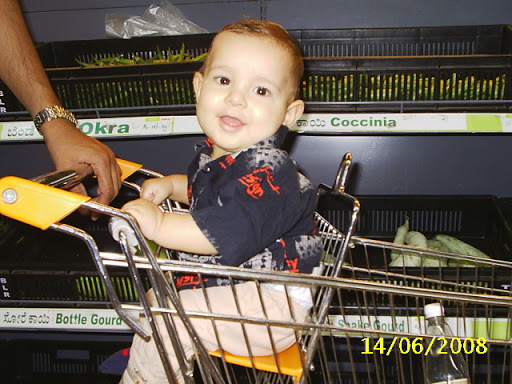 He never had a single health problem relating to being premature from the day he came home. I think God has a special plan for his life. If Logan hadn’t been born that day, he would have died. So God had the water bag break so I would go to the hospital. 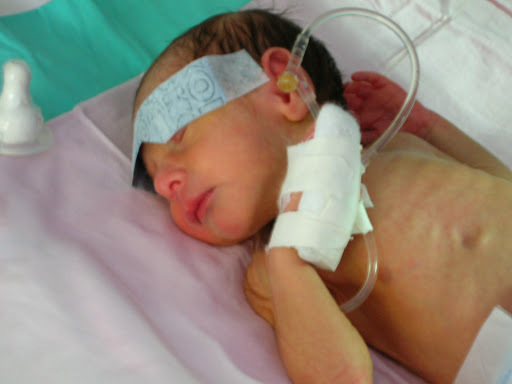 The cord was wrapped around his neck so tightly that the doctors had to cut it before they could deliver him. Had he moved around it would have tightened and choked him. So God made sure that he didn’t move, not even a toe, until after he was born. That lack of movement saved his life. Now as he turns two, I think about how special he is. When I ask him for a kiss, he opens his mouth wide to get one. When I tell him I love him and ask him to say, “I love you, Mommy,” he will blow a kiss. Tonight as I was putting him to bed, I told him the story of his birthday (the toddler version of course). He lay quietly, listening carefully, something he doesn’t do very often. Then when I told him it was time to get into bed, he didn’t make a fuss. He lay down and didn’t wiggle around like he usually does. He must have been thinking about the story. Here he is at 8 days old. And here he is at two.